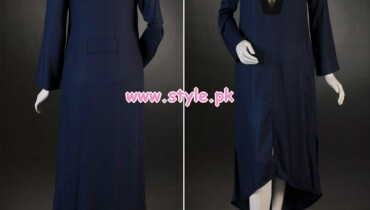 Satrangi by Saqib formal wear dresses 2013 were released for women recently. Frocks and long shirts can be seen in these dresses. 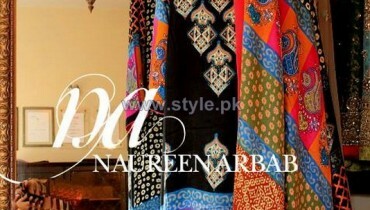 These shirts of the formal wear dresses have been embellished with dabka work. Along with them, each of Satrangi by Saqib formal wear dresses 2013 for women have trousers or churidaars. The dresses do look nice and the color combinations used on them are absolutely amazing. These clothes are great for those women, who want something to wear to a wedding function. So if you are also willing to buy such clothes, go for Satrangi by Saqib formal wear dresses 2013 for women. Satrangi by Saqib is a clothing brand in Pakistan. It has been around for a few years now. The brand is liked by a significant number of people. The clothes of Satrangi by Saqib are all quite trendy. Satrangi by Saqib offers clothes for women, men and kids. In the beginning, it provided casual wear clothes for men only but it expanded its offerings. The clothes of Satrangi by Saqib can be bought through orders placed via Facebook. The brand can also be contacted for inquiries via its Facebook page. The pictures of Satrangi by Saqib formal wear dresses 2013 for women can be seen below. Have a look at them. If you would like to get any of Satrangi by Saqib formal wear dresses 2013, just go to the Facebook page and send a message. You will be able to find out how to get the dresses by sending a message to the brand. The address of Facebook page of Satrangi by Saqib is below. You can see party wear and formal wear clothes for kids by Satrangi by Saqib also through the Facebook page of the brand.